6 1/2 " x 5"
This year I will have some of my artwork available as note cards. Snail Mail will always be in style no matter the postage. There is something so special about sending and receiving a lovely miniature work of art with a personal sentiment. The cards are hand made by me. Quality digital prints on cream card stock, each card comes with a matching envelope. More designs coming soon. 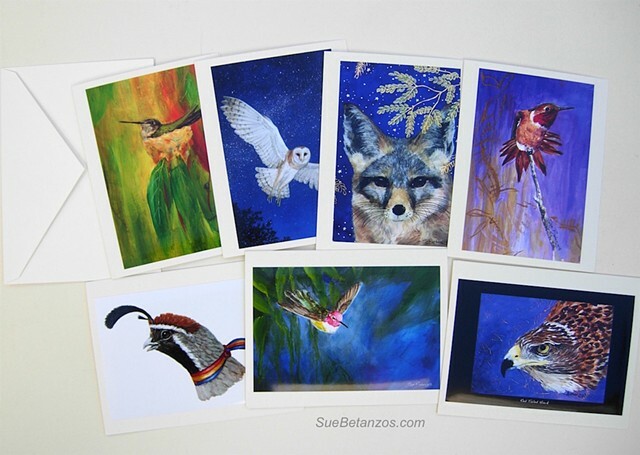 The artwork for these cards is sold, which means you can commission your own personal painting or mosaic, just for you! Contact me for shipping info based on your location!